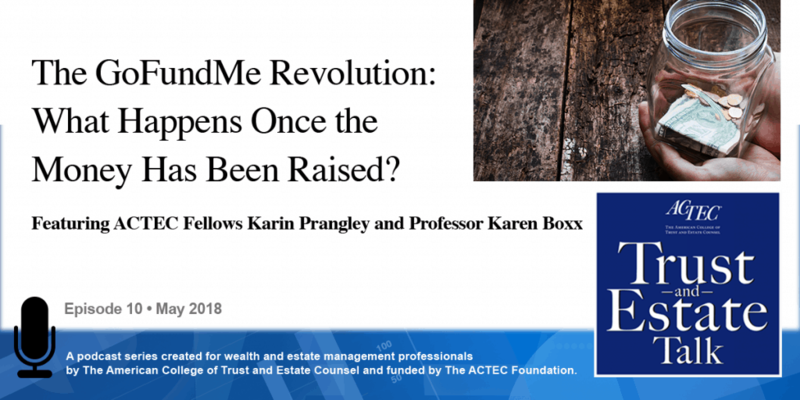 “The GoFundMe Revolution: What Happens Once the Money Has Been Raised?” That’s the subject of today’s ACTEC Trust and Estate Talk. This is Richard Gans, ACTEC Fellow from Sarasota, Florida. Individual fundraising has gone digital, and the funds raised are exponentially greater than in the past, however, the legal tax and fiduciary issues affecting the money raised remain murky and largely unregulated. 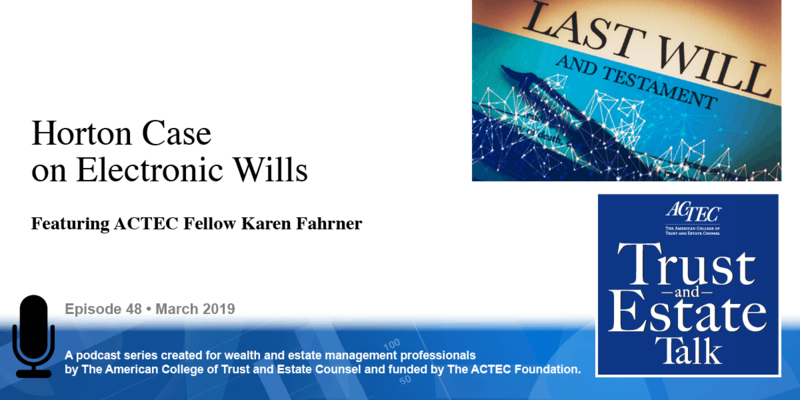 To learn more about this issue, you will be hearing today from ACTEC Fellows Professor Karen Boxx of Seattle, Washington and Karin Prangley of Chicago, Illinois. Welcome to you both. Why are lawyers beginning to think about charitable crowdfunding? Thanks Rick. So we’re starting to get questions from clients about charitable crowdfunding, and the kind of crowdfunding that we’re talking about here is the kind where you’re raising money for a charitable cause like a sick child or financial disasters in a family; we’re not talking about the kind where people are raising money to start a business. So it’s the humanitarian type of crowdfunding. And clients who are either wanting to set up a crowdfunding campaign for someone, or wants to donate to one, are starting to ask about the consequences of that. So that’s why this is coming up. There are quite a few open issues like: What happens if there’s money left over in the campaign? And these things are not really regulated at all. The campaign manager or the campaign organizer sets this up; it’s in their name, and the money comes in from various donors and GoFundMe collects the money – or whatever site you’re using – and then they hand the money over to the organizer to apply the money for the cause, and often these campaign organizers are not people who are necessarily sophisticated with dealing with large sums of money, and of course these campaigns are now raising huge amounts of money. So the concern is A) We want to see protections for both the beneficiaries of these campaigns, and also the organizers, if it’s different. We don’t want them getting sued by the beneficiaries because they’ve mishandled the money, and also the donors of the funds, making sure the money’s going where they want it to go and, so, lawyers are starting to think about and answer questions about how these various roles are being protected. Does that charitable crowdfunding create any tax problems? Yeah, it can. When we think about somebody receiving money or somebody giving money to another person, both the income and transfer gift and estate and GST taxes come into play. Fortunately, for income tax purposes, there has been some information from the IRS. The IRS issued an info letter on the tax aspects of crowdfunding. That info letter was issued in the context of non-charitable crowdfunding where somebody was raising money to buy a company. But in that info letter, we do note that the receipt of crowdfunding money is taxable income to the beneficiary, except for when it’s for a loan, when it’s for a capital contribution or equity in a business, or if it’s for a gift that’s really from generosity and is no quid pro quo. And that sort of generosity gift, no quid pro quo, is the land that these compassionate or charitable crowdfunding gifts live in, which really brings us right into, well, great, if it’s really not, if it’s a gift, it’s just made out of generosity, it’s not income to the recipient. The other side of the coin is, it’s not deductible by the donor. So because these crowdfunding campaigns – as we said earlier – for a sick child or a specific purpose, or really for the benefit for a private individual, then they really can’t be deductible for charitable purposes. 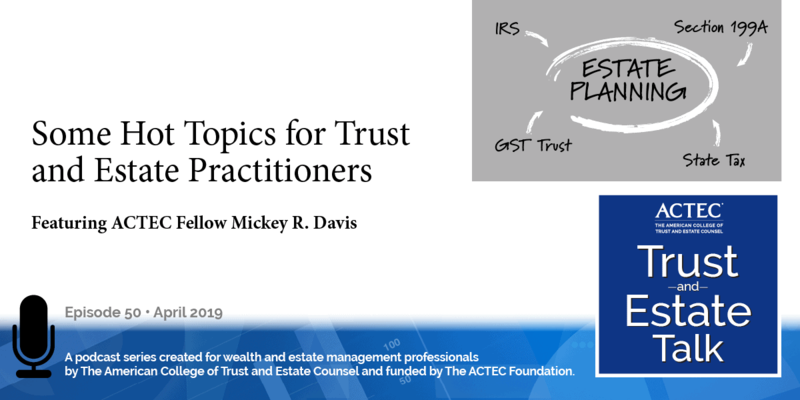 They can be structured if they’re for a larger class through a 501(c)(3) to be made deductible, but they typically aren’t, so those that are set up for the benefit of private individuals really cannot be deducted for income tax purposes. On to transfer taxes, you know a couple of issues come about, mainly reporting issues. So one: Who’s the beneficiary of the gift? A lot of these crowdfunding campaigns have an organizer that’s different than the beneficiary, so the sick child or adult may have a family friend who’s really doing the crowdfunding campaign for them from the kindness of their heart. In a lot of these crowdfunding campaign platforms, the organizer actually has the right to withdraw the money: they’re sort of a very informal custodian. So, in light of that: When is the gift completed? Is it when the money hits the hands of the intended beneficiary? Is it a gift of a present interest? We know to be a gift of a present interest, it’s a gift that conveys the immediate right to possession and enjoyment. Well, the stream and the flow of crowdfunding money is actually slow, and there are a number of steps kind of from point A to point Z, so there’s really a question of: Is this a gift of a present interest? Is it a completed gift? And number one, who is the beneficiary? Is it really the organizer? Or the intended beneficiary that leave us with some reporting questions, you know, how easily can we claim use of the annual exclusion, which then would allow the donor to have no need to file a gift tax return? That’s really the critical question here. I would also add, there are so many variations in the types of purposes for which these are set up. If you have funds set up for an ill child, for example, I think it’s sort of easier to identify the beneficiary, but we have a lot of these crowdfunding campaigns that are set up for a specific purpose, for example: The Florida teens [Stoneman Douglas Hight School students] have set up a crowdfunding campaign to finance their trip to DC to talk to Congress. So there you think, well, “Is the $50 that I sent in – is that a gift of a present interest?” I guess maybe you could consider it a gift to those particular teens, but when it’s for a purpose, I think that sort of muddies the water also with the tax implications. So what if the beneficiary’s on public benefits? Are there any special issues about that? This is another reason to – for people who are setting these up – to get some professional advice before they set them up, because if it is for someone who has been injured in an accident, for example, or some terrible incident, then they may or may not be eligible certain government benefits that are need-based, and the crowdfunding money could disqualify them from those benefits, so this is something that the special-needs trust community has stepped up and has started to talk about assisting people in setting up the funds into a special-needs trust so that the beneficiary would maintain eligibility for government benefits in addition to whatever is raised by the crowdfunding, rather than just having to spend it down before they could get there. But that definitely requires advanced planning when you’re setting up a campaign. Do you have any advice for somebody setting up a crowdfunding campaign? Well, first, for example, I think getting professional advice, if it’s available to you, in advance of setting it up, is critical, because you want to, in setting up the campaign, address issues like: Should we be setting it up as a special-needs trust? How are we going to provide for excess funds? So a good idea to resolve any issues around that is, if we raise too much money, we had a specific purpose, for example, this trip to Washington, DC, and we got way more than we needed, what’s going to happen to the leftover money? You don’t want to get into a position where you feel like you need to refund money to the donors. That’s another thing you want to clarify, that, to simplify matters, we’re not able to return what’s left of the $20 you sent in, but we will take what’s left over and give it to a similar cause or, if it’s sick child who got better and didn’t need all the money, we would donate it, for example, to an organization that deals with children with that sort of illness, that kind of thing. So you want to put all that in your initial campaign. If you look at the types of funds set up on GoFundMe, they vary significantly with respect to the sophistication, and some of them are very informal. So I think some assistance in drafting would help. We’re also looking into – the Uniform Law Commission has become interested in this because, again, a lot of people who set these up – it’s just a cousin, a family friend, not necessarily sophisticated, doesn’t have a family lawyer on call to get advice from. And so the Uniform Law Commission is looking at drafting a uniform law that states can adopt that would give sort of a template for these campaigns for people who don’t necessarily have the lawyer to help them set it up, so they give the necessary structure to them. 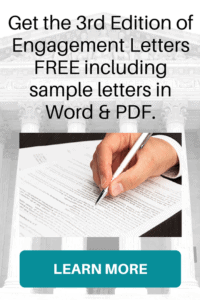 Are there any other legal or regulatory issues to consider? I think for, if crowdfunding organizers are going to raise or attempt to raise relatively large campaigns, they should think about their registration requirements. Many states require registration in their state if you’re going to solicit big–fundraising on the big. So that may be a concern to think about with the lawyer. 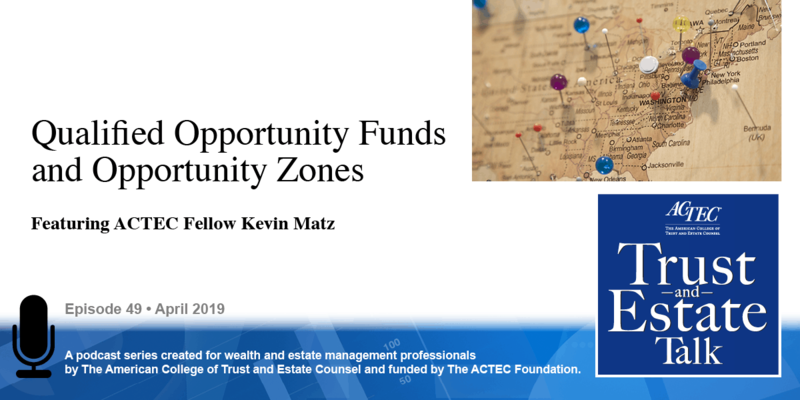 Also, asset protection issues: so money in a charitable crowdfunding campaign is really an asset of the donee and can be part of their estate and a bankruptcy, so if there are asset protection issues, that’s another legal consideration they’ll want to think about. As far as once the funds hit, and they go from the GoFundMe campaign to the donee, there can be some banking issues, because the money will come from a number of different donors. Banks often have to have anti-money laundering (AML), or Know Your Client (KYC), issues with receipts of those funds, so donees should expect some added red tape when getting money into their bank account. And lastly, there’s really the issue of compliance and oversight. So there’s really no way, yet, to ensure that the purposes for which the funds are advertised they’re being raised for actually are brought to bear, there’s no enforcement and no fraud policing on these campaigns so you really have to hope for the best and trust. Okay, thank you Karen and Karin for educating us on the GoFundMe revolution.